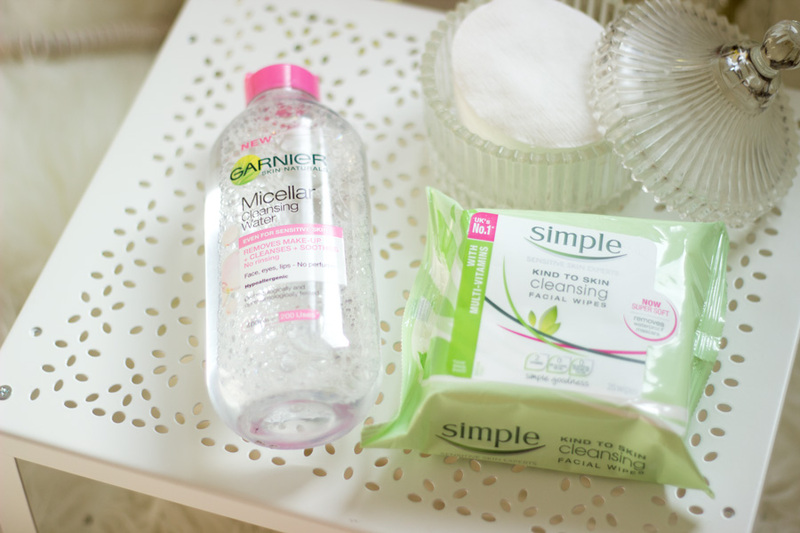 I am sure everyone knows the difference between removing your makeup and cleansing your skin. I remove my makeup well before using a cleanser otherwise I would just be rubbing makeup all around my face without my skin being nourished. 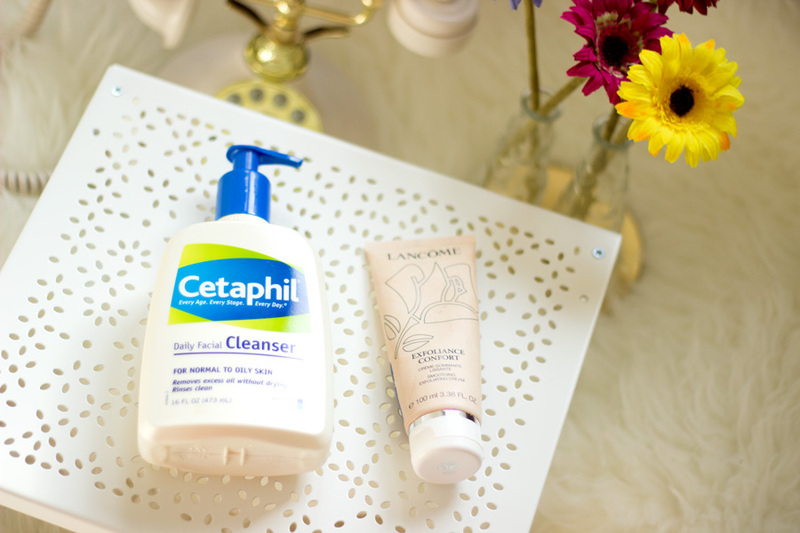 I usually opt for anything that makes my skin feel refreshed without drying it up. My current favourite makeup remover is the Garnier Micellar Water//Link which is the closest dupe to Bioderma for me. I still have almost two large bottles of Bioderma but I just felt like using something different this Spring. The Garnier version removes my makeup really well and soothes my skin. 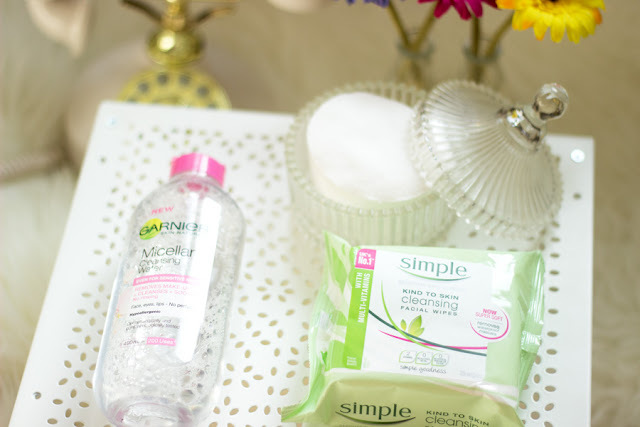 When I feel super tired, I reach for my Simple Makeup Wipes//Link especially when I have some heavy eye makeup. I don’t know if it is just me but I feel the formula of these wipes have changed. They don’t quite feel as moist or refreshing as I remember but hey ho! I may just be imagining things. Tell me, if you have experienced the same in the comments section. Anyway, I still use it and it removes my makeup well. I sometimes have to use more than one wipe but it is usually fine. 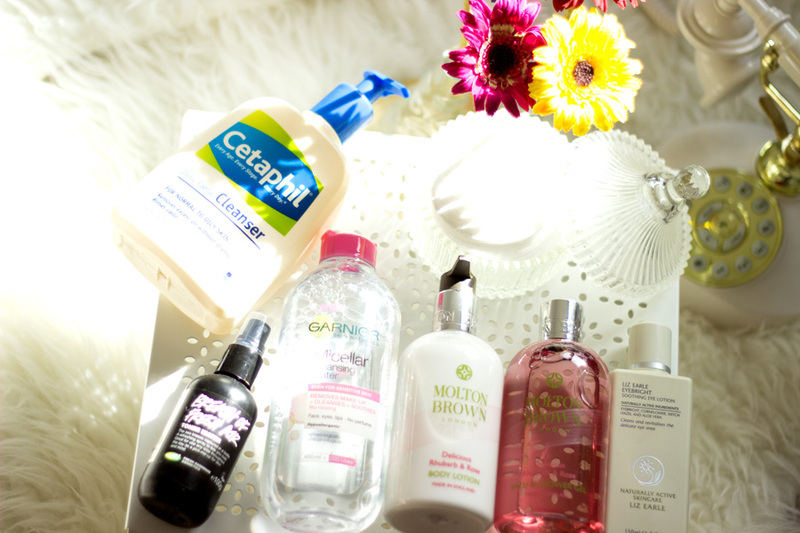 Once I am done with removing my makeup, I opt for my cleansers and I love to use products that are gentle. I have been using my Cetaphil Cleanser for Normal to Oily Skin// Link which is super gentle and does not strip my skin at all. I need all the moisture I can retain and this does the job well. It has not broken me out at all and it soothes my skin even when I have some pesky little blemishes. 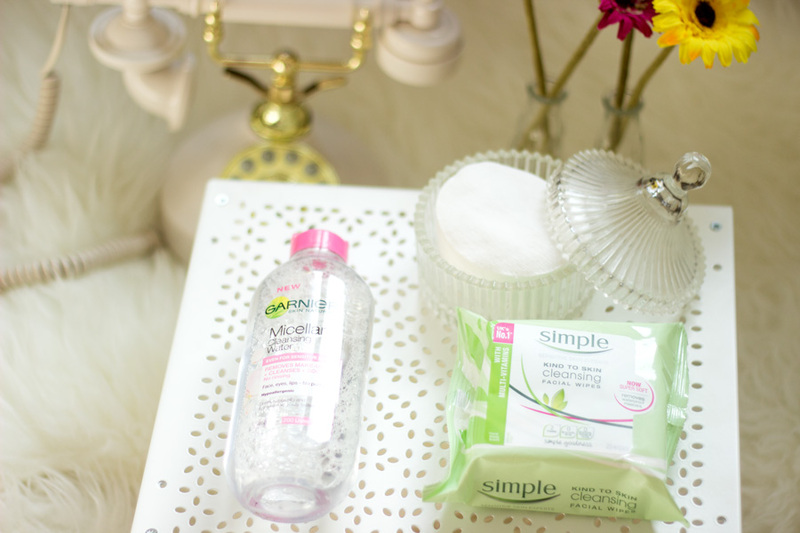 Other times, I opt for my Neutrogena Visibly Clear Cleanser which helps exfoliate my skin really well. I feel this product has really helped my skin and I love how soft my skin feels after using it. I generally use my Una Breenan Salicylic Clay Mask but I have recently been loving (and rediscovered) my Lancome Exfoliance Confort Cream. I really like it because it is like a mask/exfoliator/scrub hybrid and gets rid of any flaky dry skin. It does not feel abrasive at all rather it feels gentle and soothing. I really do need to repurchase it asap but it’s a little pricey from the the Lancome website. It just leaves my face feeling really smooth and moisturised and I feel it is perfect for Spring. I just can never skip toners especially when the weather gets warmer. I feel toners add that extra moisture back to the skin and helps balance the PH of the skin that may have been altered from cleansing. I already mentioned I love anything that feels refreshing which is why I have a little collection of Spring toners. 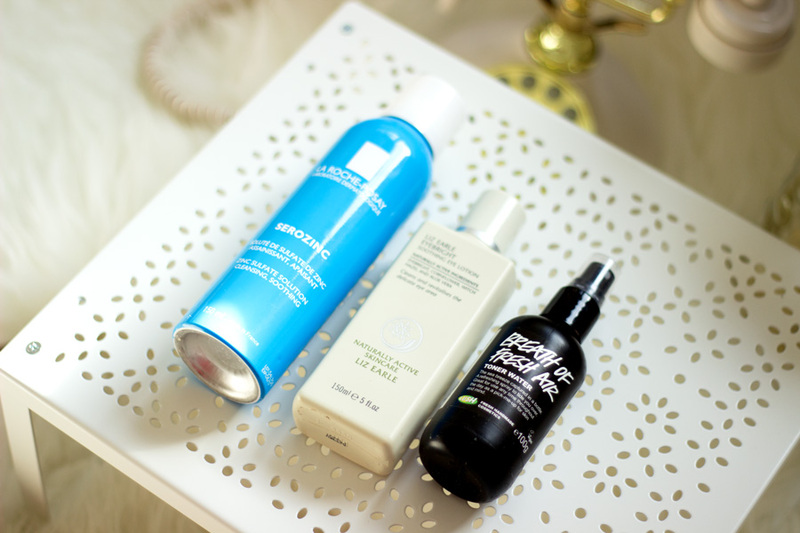 The first one is the Lush Breath of Fresh Air Toner which I absolutely love. I have lost count of how many times I have repurchased it. I apply it with a cotton pad around my face or just spray it like a soft mist on my face. When my skin is playing up, I opt for the La Roche Posay Serozinc//Link which is effective for reducing the appearance of blemishes/redness but it also feels so soothing and refreshing. 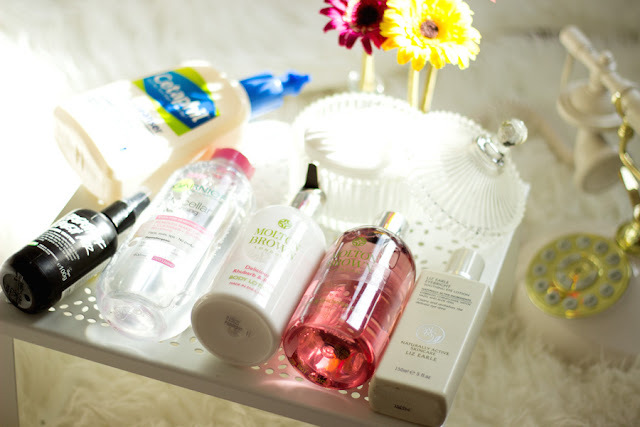 I absolutely love this stuff and I have already repurchased a back up because it is amazing. 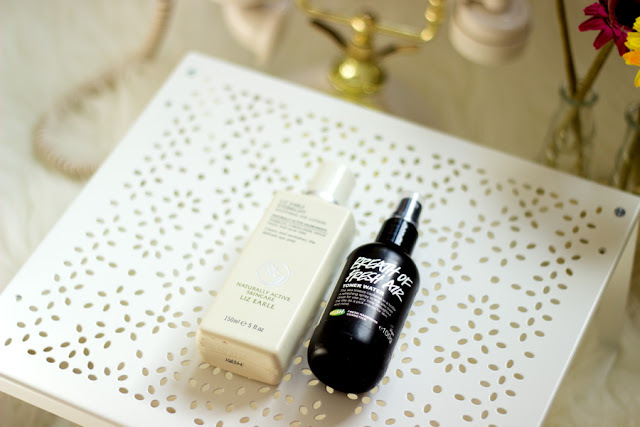 Lastly, I have my Liz Earle Eyebright Soothing Lotion//Link which really helps my eyes relax. It is meant to be a light eye makeup remover but I prefer to use it to soothe my eyes. I just apply a little on a cotton pad an d hold it on my eyes for a few minutes while lying down and it just feels so relaxing. If you have puffy or tired eyes, this is really helpful and can be used in the morning or night. I use it mainly at night because I am always rushing off in the morning. I don't really change up my moisturiser during Spring because the one I currently use spans across all seasons. 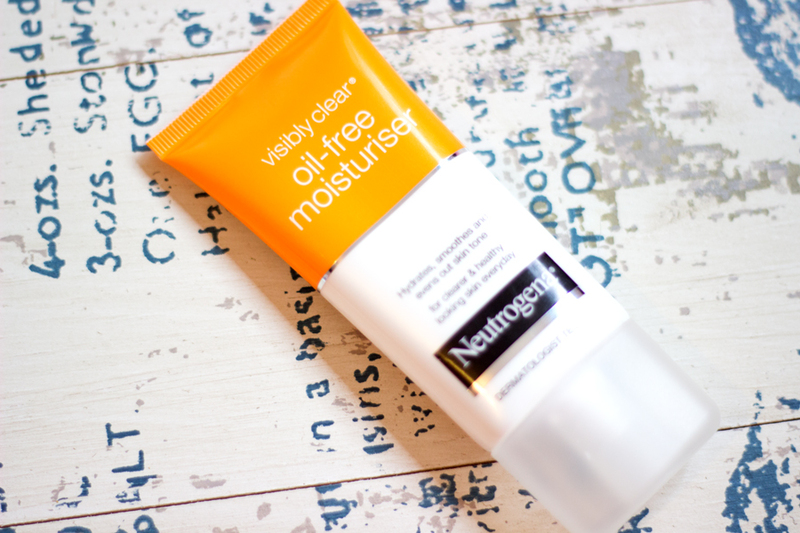 It's none other than the Neutrogena Visibly Clear Oil-Free Moisturiser//Link and I have been using it consistently for over a year now. I am a big fan of sticking to anything that works well for your skin and that's exactly how I feel about this moisturiser. It's also very affordable and I have several backups which I purchase when Boots or Superdrug have offers. 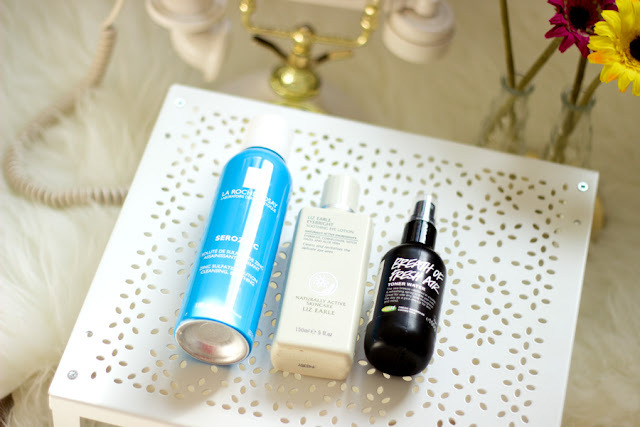 I have a few serums which I am trying out but I will report back on them in another post. I am sure it goes without saying that we all should not skimp on sunscreen no matter what skin colour or type you have and regardless of the weather. I have used a sunscreen consistently for the past two years without fail and I have seen a massive improvement in my complexion. My hyper pigmentations no longer gets as dark and my skin just feels and looks better overall. 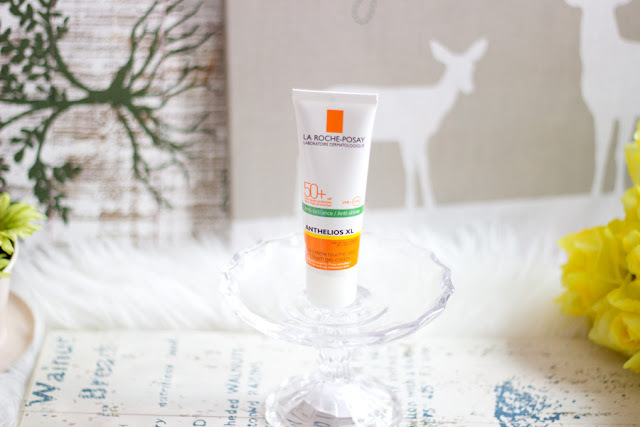 The only sunscreen I have stuck to in these past years is the La Roche Posay Anthelios XL Sunscreen SPF 50*//Link and it’s just perfect. 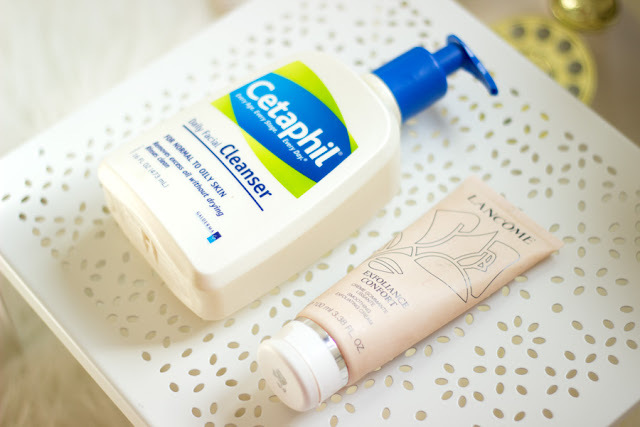 I opted for the Dry Touch Gel Cream which is most suitable for my skin and even helps keep my skin matte. I have to say it's only this year that I started getting into Body Cream because I thought it was too much of a hassle. 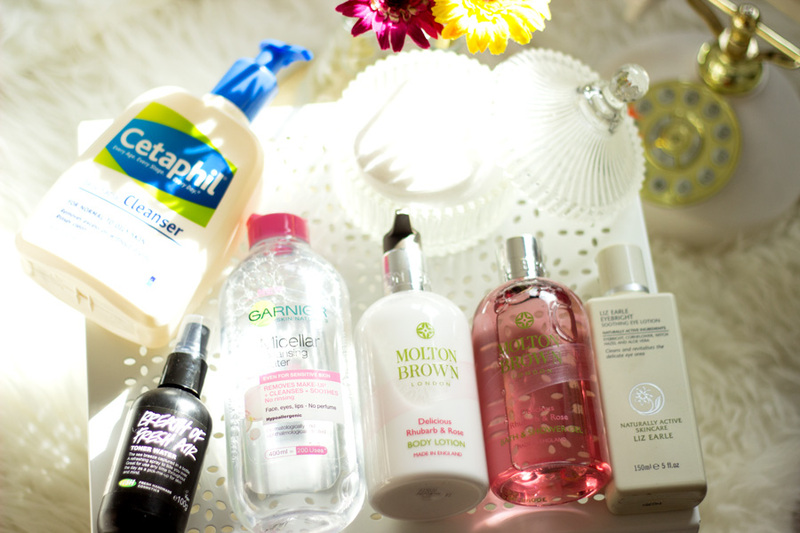 I started off with E-45 Moisturiser which I still love and then I progressed to Soap and Glory Smooth and Clean Body Milk which smells so delicious. 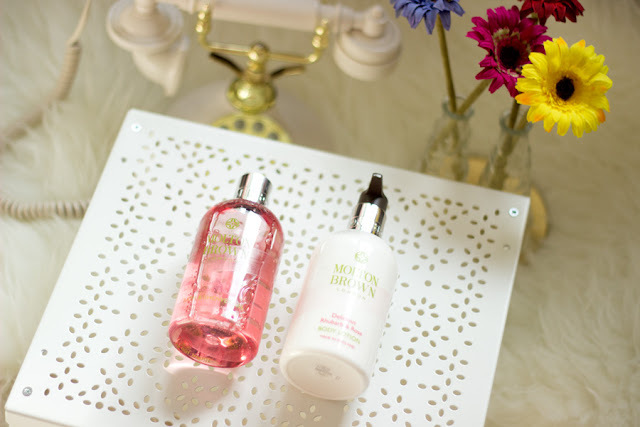 I was recently gifted with the Molton Brown Delicious Rhubarb and Rose Shower Gel and Body Lotion set* and it is definitely the perfect Spring duo. I have a full review coming up for all the goodies I was kindly gifted form Molton Brown so stay tuned for it. This Delicious Rhubarb and Rose set really smells amazing and it lingers long after you have used it but it does not interfere with any fragrance you use afterwards. It smells like soft spring flowers as expected from anything that contains Rhubarb and Rose (an amazing combo). The Delicious Rhubarb and Rose Shower Gel*//Link is one of my favourites because you only need a little to wash your body and it actually does the job. I know some shower gels just smell nice but fail to be effective at cleaning your body but this is definitely one with the right combination of good fragrance and cleaning power. The Delicious Rhubarb and Rose Body Lotion*//Link feels very moisturising but not greasy which is perfect for Spring for me. It absorbs well and my skin still feels hydrated during the course of the day. I think I would say I am at a point where I am happy with my skincare and body care regime although I would not say my skin is perfect. I just think I am listening more to what my skin is saying especially when the weather changes. 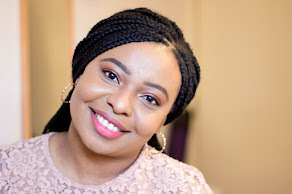 I have already mentioned previously that Spring is definitely my favourite weather/season and my skin does not give me too much hassle during this period compared to other seasons. I hope you enjoyed this little Spring Edit. Now, it's your turn- What's your favourite Spring Skincare Product?